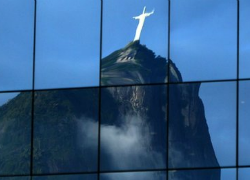 This week world leaders, numerous participating governments, non-government organizations, and members of the public sector will convene in Rio de Janeiro, Brazil for the Rio+20 Conference on Sustainable Development. Rio+20 – short for The United Nations Conference on Sustainable Development – marks the 20th anniversary of the 1992 United Nations Conference on Environment and Development (UNCED), in Rio de Janeiro, and the 10th anniversary of the 2002 World Summit on Sustainable Development (WSSD) in Johannesburg. An estimated 50,000 people from 190 countries, including 130 leaders, are expected to attend. Rio+20 is a joint endeavor with the entire United Nations system and this conference, if successful, will result in a focused political document. The Rio+20 attendees are convening to discuss global economic growth efforts that will not harm the planet and other issues such as jobs, energy, sustainable cities, food security and sustainable agriculture, water, oceans, and disaster readiness. Rio+20 is important because it examines how to reduce global poverty while preserving the planet’s life-support systems. Observers say that the gap between the ecological footprints of rich and poor nations continues to widen while global consumption of natural resources, carbon emissions and poverty have all continued to increase. The conference’s host, Brazil, has been struggling with the preservation of the Amazon. There, environmental activists clash with wealthy landowners who advocate for maximum exploitation of the precious Amazon. Brazil is not the only country working to balance a prosperous economy and a fragile environment. As we already know, money and power often trump sensible policy around the world. Under current rules, polluters in many countries can emit greenhouse gases without penalty. What is good for the general welfare of the people is not always good for business. And critics have raised a skeptical eyebrow at the high level of private sector participation at the Rio+20 conference. One of the priority issues for many developing countries are the economics of and access to energy. Seeing the ever-growing need for energy access and the trend in sustainability efforts, many prominent energy companies around the world plan to attend Rio+20. At the conference, companies will have an opportunity to showcase their technological solutions for green energy growth. They will be allowed to attend high-profile meetings, events, participate in substantive dialogue, and make public comments about green energy growth. Some view the strong private sector presence as the international community using any resources available to solve food, water, and energy deficiencies around the world. Meanwhile, critics argue that Rio+20’s green economy agenda is merely a façade and is truly driven by private sector kingpins wishing to muscle their way into public utilities services by privatizing nature and deregulating industry in order to turn a profit. President Obama will not be attending. British Prime Minister David Cameron, German Chancellor Angela Merkel, and the entire European Parliament have also declined to attend. Such absences have brought some to question the significance of the conference at all. Skepticism aside, the world’s natural resources could potentially be gravely affected by the result of Rio+20 and remaining conscientious is only to our benefit.